Managing roof portfolios for lowest total cost of ownership. A roof system is among the most expensive assets on a building. For retailers and restaurant chain owners with hundreds or even thousands of buildings in a portfolio of roofs, multiplication quickly nets millions of square feet under management and total roof asset values that can easily reach hundreds of millions of dollars. The financial stakes are high. Even with such high stakes, the unique challenge of roofs as a building system — their tendency to be out of sight and out of mind until they leak — puts them at risk for being undermanaged or, in some cases, neglected. 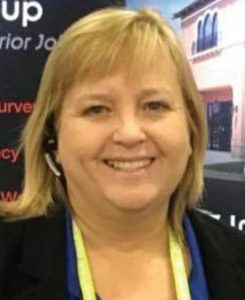 But, facility managers committed to disciplined oversight of roofs will be rewarded as their ability to optimize longevity nets lower Total Cost of Ownership (TCO) and higher satisfaction for all who depend on remaining safe and dry in their buildings. Low TCO makes CFOs happy. Total Cost of Ownership (TCO) is a financial estimate intended to help owners determine the direct and indirect costs of a product or system. TCO calculations take into account the purchase price of an asset plus the costs of installation, operation, maintenance and service/repairs through its entire use-life on a building. Below are the basic components that make up the TCO equation for managing roof systems. You will note operating costs are not included. Unlike HVAC systems that have energy operating costs directly associated with TCO, roofs have no direct operating costs to be calculated. Of course, there are indirect operating costs associated with the consequential damages or legal liabilities caused by roof leaks and or roof failures. These are important factors to consider in the overall accounting and risk management of businesses. However, indirect costs associated with roofs do not fit within this TCO economic model. Managing roofs’ portfolios using the TCO point of view enables facility managers to activate and maintain best practices in roof system stewardship, yielding key benefits: optimum roof life at minimum cost with significantly fewer leaks to chase. Installed Cost: These costs include all design, labor and materials as specified to install a new roof. Maintenance Cost: The cost of routine and preventive maintenance associated with the roof through its life cycle. Service/Repair Cost: The cost of all repairs made to the roof system including project management, labor costs and materials. Life Span of the Roof: The number of years of service a roof delivers before it must be replaced. The total of costs associated with components 1, 2 and 3 divided by the Life Span number generates the annual TCO number for a particular roof. The greater the life span number, the lower your annual TCO and overall TCO costs will be. Installed Cost: You may not have been involved in the initial purchase decisions on the roofs you manage. However, you may play a role in specifying and purchasing their replacements. So let’s come to a common understanding of the kinds of choices you will face and the implications of your decisions on TCO. What type of roof is right for your location and use? Do the cost/benefits of upgrading materials to extend roof life pencil out against your needs within the timespan you will be responsible for a particular building? If a building has a 10-year horizon you may want to go with a less expensive roof system that still has an acceptable warranty. However, if the building has a 25 year horizon, that may justify investing in a more durable system to extend roof life and consequently lower your overall TCO. Broadly speaking, there are four roof types, with variations, that have evolved over the years and are now in wide use on commercial retail facilities: built-up roofs and three types of single-ply roofs (EPDM, PVC or TPO). Each type comes with different life expectancies. Your choice of roof type, and the quality of materials to be specified within type, will affect costs and the service life you may expect. For example, when installing a single-ply PVC or TPO roof, the thickness of the replacement material specified could be between 60 and 45 mils. Your choice may increase installation costs by 10%. However, 60 millimeters will extend the roof life by 25% (5 years more). The decision to upgrade the specification depends on what you want or need to accomplish with the new roof system. Do you need a short term fix at lesser price, or long term durability? As a property owner or facility manager you may be less concerned with roof types than you are with achieving lowest TCO across the portfolio. However, understanding the comparative installation costs and benefits of the various roof types you own is important. Maintenance Costs: The golden rule in achieving lowest TCO of a roof system is: the higher your life span number, the lower your TCO. Roof systems are high-cost assets that have a finite life expectancy. The question is not if they will deteriorate and need to be replaced, but when. The good news is, with a disciplined preventative maintenance program, the speed of deterioration can be controlled and you can realize the full potential service life of the roof systems in your portfolio. Without preventative maintenance, forget about achieving low TCO. Once you decide to move from reactive to proactive maintenance, the results can be dramatic. After just 5 years of implementation, a major grocery chain found its commitment to a well-designed and executed maintenance program had cut its leak response service calls by 50% to 75%! Every leak avoided mitigates the risk of roof insulation becoming wet and creating mold that can cause damage to the structure or interior of the building. How do you budget for a preventative maintenance program? Rule of thumb in the industry is to budget a minimum of $0.05 per year per square foot (beginning in year #1). If you don’t budget the nickel, it could cost $0.15 per square foot to repair damage that could be avoided. How do you structure and operate a preventative maintenance program at scale across your whole portfolio of roofs? Know What You Have: Establish a roof information database. Make a commitment to keep the information current throughout the life of each roof. This information should include warranty documentation and all repair/maintenance activity. For ease of input and access, the database must be readily available to all staff for updates. Web or VPN access is ideal. You can maintain this information in-house or use a third-party independent roof consultant. Remember, the quickest way to stop chasing leaks is to chase data. Roof Inspections Are Critical: Is a particular roof in your portfolio in good, fair, poor or bad condition? You cannot know what you have without getting up on the roof. A simple inexpensive roof inspection gives you real-time intelligence on the roof condition, and current status in its use-life and can generate a budget plan for any service required. At the time of the inspection, it is highly recommended roof drains be cleared and all debris be removed from the roof. An inspection can also uncover a small problem, say a ponding area, and prevent it from turning into a larger problem. A large pond can eventually damage the roof and the structure. 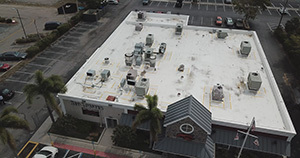 Roof inspections identify problems, ensure a leak-free environment and help maintain manufacturer warranties. If done annually using the manufacturer’s checklist, it may even extend your warranty by up to 5 years. While proactively managing specific roofs is essential, the real value of the inspection comes from rolling up your information across your portfolio. An inspection program provides the data you need to decide which roofs to include in annual capital improvement plans/budgets. Frequency of inspections is a function of need and budget. Do you have a lot of debris on your roofs? While annual inspections are ideal, bi-annual inspections may be justified in some markets. Scheduled Maintenance: Should you pre-authorize maintenance at the time of the inspection with a not-to-exceed budget (NTE)? It depends on how much budgetary control you need or desire. Many national retail owners and lessees prefer to get the data and photos from the inspection logged into their database and then secure an estimate for typical maintenance and minor repairs. If your inspection program is running smoothly, follow up on estimating and scheduling maintenance repairs should be a matter of routine. Service/Repair Costs: The roof inspection performed has revealed roof types, the current condition of the roofs and existing problems. Can a repair issue be resolved with a minor repair, or is major work needed? Is the problem beyond repair? If the roof report validates the roof has some use-life left, then proceed to the service call process. Is the roof the responsibility of a landlord? If so, put them on notice that a repair is required. This may sound obvious, but when you’re managing hundreds or thousands of roofs in a portfolio, without good ownership data, you could end up repairing someone else’s roof. Is the roof under warranty with a contractor and/or manufacturer? Why pay for a repair that you could get for free? Also, be careful about sending repair technicians, who may respond quickly but are not certified by your roof’s manufacturer. This could void the warranty. Are you sure it’s the roof leaking? Is it raining now? Is the dripping water cold? Could it be the HVAC that is leaking? Steps one and two cost $0 and step three avoids sending out the wrong tech and potentially voiding your warranty. If you have the data and ask the right questions, you can avoid mistakes and excessive costs. It is recommended that the contractor be given an NTE budget and that the budget be closely monitored to avoid receiving invoices that are at the maximum not-to-exceed, whether justified or not. After the repairs are completed the work should be reviewed. Was the proper material used? It is not unusual to see mastic used on TPO/PVC roofs. Not only will it void the warranty but it will hurt the membrane as well. Project Management for Major Repairs/Replacement: If major work is required, go through a formal bid process. Site-specific specifications will need to be written. With specifications in hand, it’s recommended you secure three bids, preferably from qualified local contractors. Local contractors tend to deliver better, faster service and better pricing because of their proximity and ability to operate without national overhead. They are more apt to be a contracting organization, not driven by sales, minimizing layers of people required to provide the services needed. Once the bid is awarded, the project should be managed to completion. Photographic proof should be provided to validate the work was completed and a warranty provided. Failure to follow this procedure typically adds cost and provides a lower quality solution. Examples of poor project management include suppliers providing bids that do not meet specifications or poor contractor vetting. Even though you might have a favored contractor that has provided good service in the past, the bid process will ensure they continue to give you the best price and service. Your choice of roof type, and the quality of materials to be specified within type, will affect costs and the service life you may expect. Roof specifications used in one part of the country may not be applicable to another. Areas where UV levels are higher require membrane material less susceptible to UV degradation. Areas prone to frequent hail need hard cover board installed beneath the membrane to protect the roof layers from damage. Is it better to use black roofs in cold climates to absorb heat and white (reflective) roofs to repel heat in hot climates? Numerous studies have concluded using dark roofs in cold climates does not significantly reduce the heating costs of buildings. However, a Lawrence Berkley National Laboratory study demonstrated white reflective roofs can substantially reduce air conditioning energy costs in hot climates. 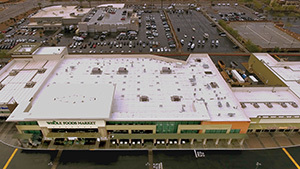 For example, for more than 20 years a major retailer has used white PVC roof membranes on all its facilities. It considers it an important component of its energy efficiency program. Out of sight, out of mind is not a strategy for maximizing roof longevity. As mentioned before, regularly scheduled preventative maintenance is necessary to achieve the service-life promised by the manufacturer upon installation and to protect the warranty of your roof. To manage roofs in your portfolio for maximum life and lowest TCO, you need to know the current state of all your roofs: what materials are they made of; warranty status; and condition — good, fair, poor or bad. Whether you are responding to service requests, authorizing repair or proceeding with major replacement work, the key is data. A steadfast commitment to disciplined data management allows you to make informed, proactive decisions vs. reactive costly ones. National retailers and facility managers have large roof portfolios with millions of square feet and total roof asset values that can reach hundreds of millions of dollars. The incentive to manage these large roof portfolios to TCO standards is clear. Those who are committed to this disciplined work will be rewarded as their ability to optimize longevity nets lower TCO with potential savings of millions of dollars. Cost of a service call. Percentage of service calls handled under warranty. Status of roof condition; i.e., how many bad versus good. Price per square foot of roofing replacements (i.e., tear offs vs. overlays). Project potential savings (i.e., low versus high bid). It all starts with a simple, inexpensive roof inspection. Having accurate data and sustaining a commitment to keep it current and accurate is the key to your success at achieving lowest TCO for your roof portfolio. How would it feel to stand before your CFO with complete confidence that you are operating your roof portfolio at the lowest TCO? 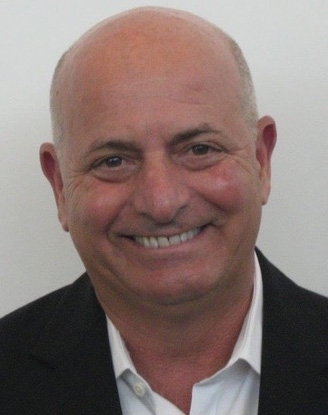 — A 40-year veteran of the commercial roofing industry, Bill Pegnato is CEO of Pegnato Roof Intelligence Network (PRIN), a national roofing services platform. Visit pegnato.com.